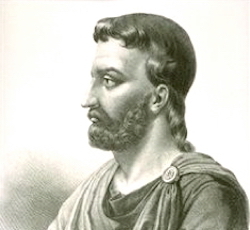 Before the Christian world emerged in the late 4th century AD, the pagan world had been practicing medicine for centuries, but they, also, routinely killed babies in and out of the womb and generally despised the weak and the sick. 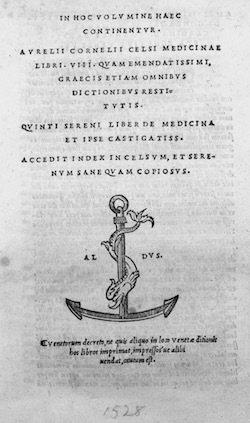 Over the next centuries, the Christian attitude toward the infirm and infanticide totally changed the mind of the Western world and many hospitals for the sick were built and techniques for cures were invented and implemented. This article, however, will deal with the heroic and prescient attempts by ancient pagan physicians with good clean hearts and minds to help those with diseases of the eye, namely cataracts. A medical cataract is the incremental growing of a film (cataract) over the lens of the eye causing vision to be impaired. Over time, a cataract or cataracts interfere with a person’s vision and activities. 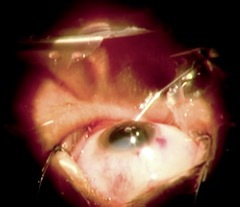 Nowadays, people get cataract surgery to have the film removed. 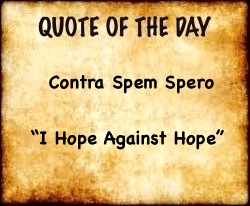 It is a safe procedure. 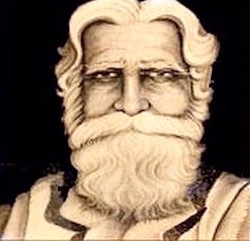 The first doctor in history to attempt to remove the filmy cataract was an Indian physician in the 600-400’s BC named Sushruta. All of what is known of Sushruta and his many surgeries is in Hindu in The Sushruta Samhita, collected by Nagarjuna in the latter part of the 4th century BC. 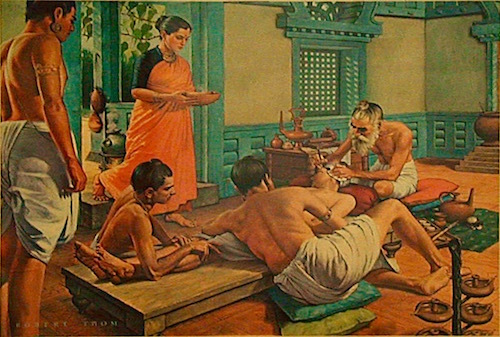 As a practicing surgeon, Sushruta was a strong advocate of dissecting bodies of the dead in order to gather crucial information for his surgeries. He, also, brought to his procedures an extensive knowledge from his study of dead animals. For cataract surgery, Sushrata recommended using a curved needle called the Jabamukhi Salaka to loosen the lens and push the cataract out of the field of vision. The eye was then soaked with warm butter and bandaged. The good Indian doctor strongly recommended that cataract surgery only be performed when it was an absolute necessity. The room in which the cataract surgery was performed should be totally cleaned and fumigated with certain herbs, Sushruta said. The patient was to fast before surgery. 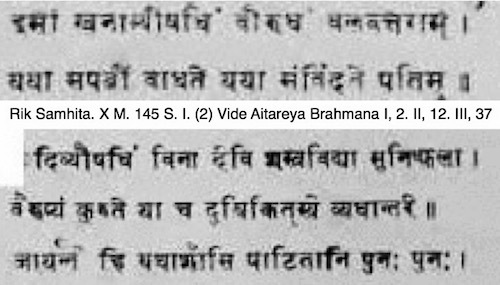 We find in the Samhita (see fragment below) that ophthalmic operations were done with great skill and caution. 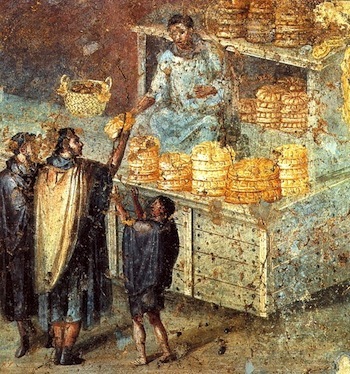 Cataract operations in ancient Rome were complicated, also. The Romans knew about the zonules, the multiple radial “strings” that hold the lens in place. Their method called “couching” loosened those strings with sharp needles so the lens fell away from the pupil, dropped into the back of the eye and allowed light into the lens again. 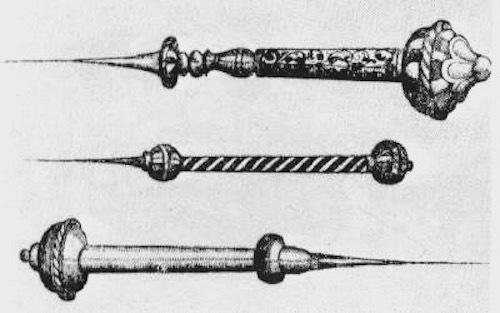 Another form of couching was to push a sharp metal instrument into the eye and wiggle it around until the cataract was dislodged from the pupil. Another was to take a stick or other blunt instrument and deliver a blow to the outside of the eye, hoping to dislodge the lens from the strings of the zonules. If that worked, the pieces were sucked out with a sucking instrument. One must remember these operations were done without a modern anesthetic and often the patient was blinded or at least left with impaired vision. After cataract surgery, the patient was often given a prescription of vinegar lotion, breast milk or copper oxide to help the scar heal. These were given on eye stamps with the prescription and name of the doctor on them much like our post-surgery prescriptions on paper. 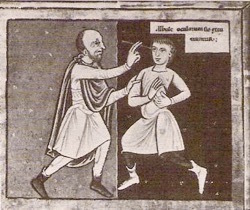 (See Ancient Greek Oculist’s stamp and 1st-4th century AD Roman Eye Doctor’s stamp below). 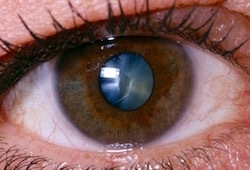 CLICK HERE for 3 minute PBS video on history of cataract surgery.